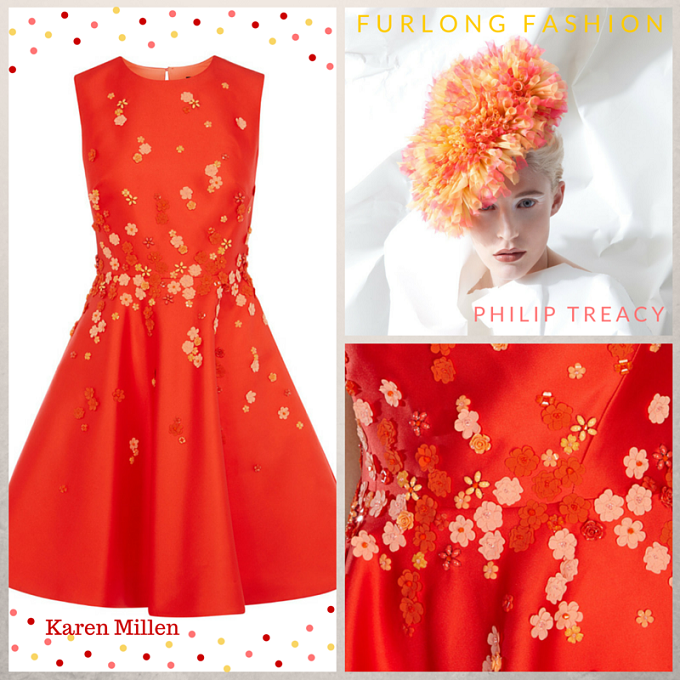 Karen Millen is always at the forefront of bringing luxury trends to the high street at reasonably affordable prices, and is an extremely popular choice for racegoers. 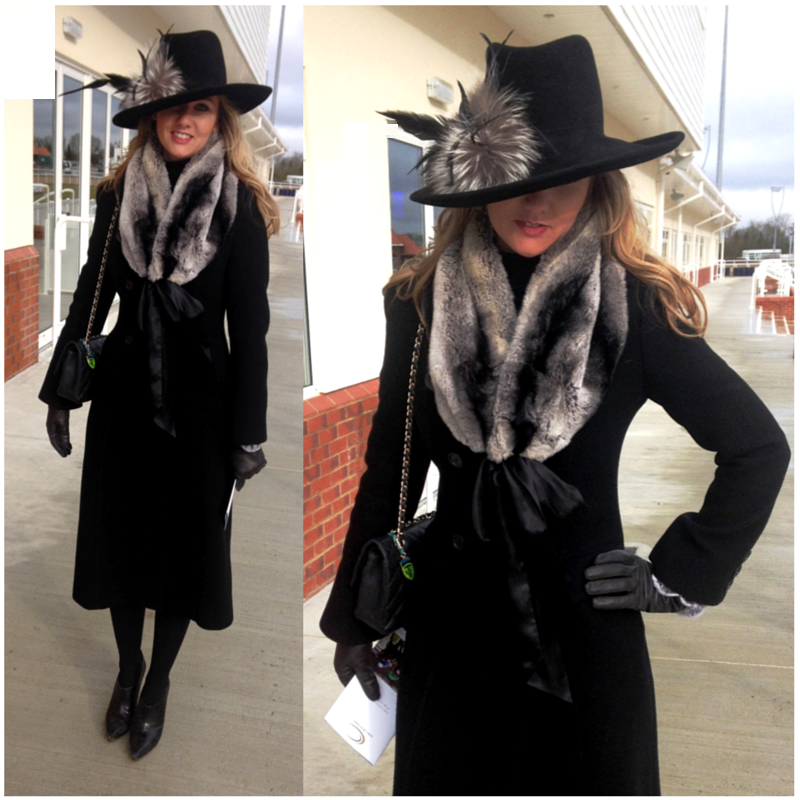 I have been seen to wear Karen Millen to both Autumn/Winter and Spring/Summer race meets and have a trusty black wool coat, which over the past ten years has seen me transition from 6th form student to racehorse trainers partner and still looks like I bought it yesterday. I believe this is testament to the level of quality and care put into their garments making them investment pieces. Click Here to browse their collection of jackets and coats to ensure that you wrap up in style this season! When it comes to the SS16 collection, this is definitely your chance to snap up an iconic piece to add to your racing wardrobe. One of my favourite pieces from the SS16 collection is this checked pencil dress which would look perfect at The Cheltenham Festival, but which would also easily transition through to spring. I am also in love with the Scattered flower fit and flare dress which comes in two colours and was designed to mark the Lunar New Year. It is part of an exclusive capsule collection made up of 20 pieces inspired by red, the colour of celebration and luck in Chinese culture. 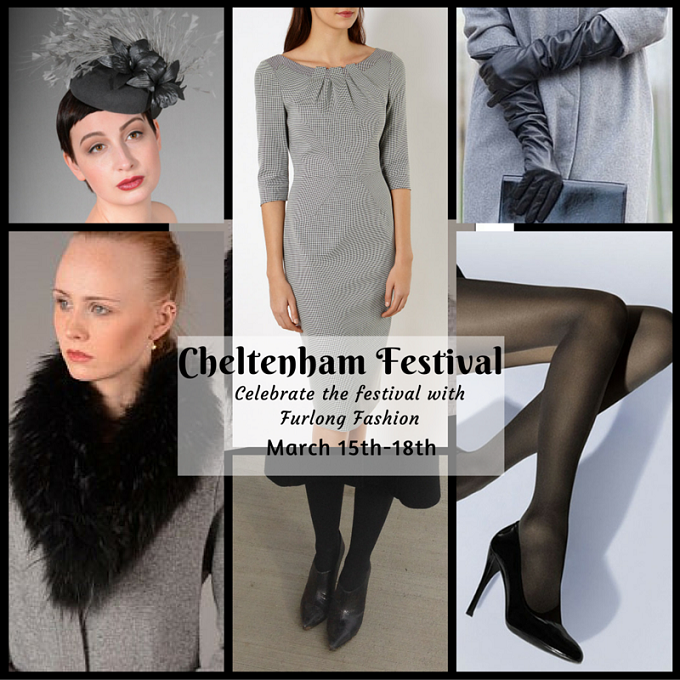 This dress is perfect for any major race meet including The Dubai World Cup, Royal Ascot or The Qatar Goodwood Festival. You will have to be quick to secure this dress as I am sure it will sell out fast. 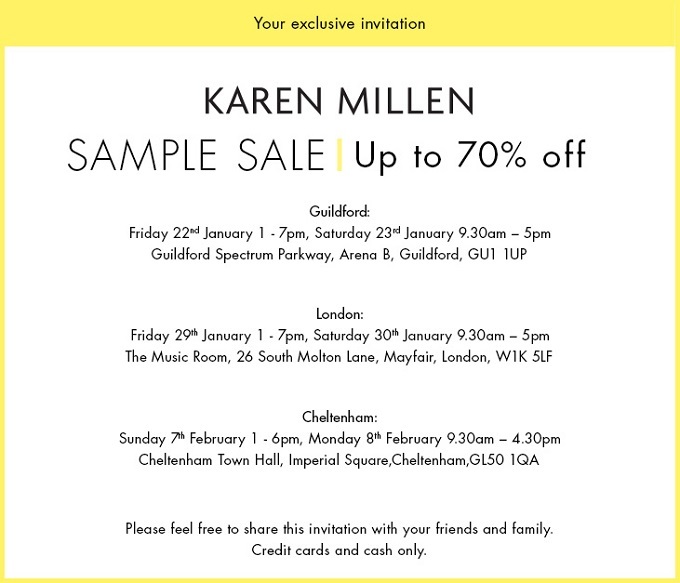 Full details are the Karen Millen Sample sale is below make sure you don't miss out on a bargain! Don't forget Karen Millen's sale is still live online with the added bonus of an additional 20% off until midnight Sunday 17th January.